1. A MMA fighter have knowledge to different discipline like Jiu Jitsu, Kickboxing and Wrestling. So the first step to being a professional MMA fighter is to find and train in a local MMA gym that offers such programs. 2. The next thing to do is to get in shape. A great fighter always get into the competition in a good physical condition. 3. Visit informative websites about mixed martial arts. Search on to sites that offer great information about the sport, the fighters that you idolize and their fighting skills and techniques. 4. If you have the opportunity, go visit a local MMA event. These events are held across the globe, and this can give you a chance to see professional fighters in person. More over, professional fighters demonstrate some useful fighting techniques during these events. And if you want to be the best fighter there is, learn from the very best. 5. In due time, your trainer might tell you if you are ready to fight or not. But be that as it may, always weight and decide whether you’re fully prepared to get in a bout. There’s no best way to gauge what you’ve learned but through competing. 6. You now know what you can and cannot do. You were able to learn all the professional techniques by heart. But a good fighter has a natural skill and physical aptitude. Being naturally gifted is part of success in any sport. 7. Join a local MMA event. Some gym compete their fighters in a local event, and there’s nothing wrong if you’ll try your luck. As stated earlier, and when you know that you are ready, there’s no better way to gauge your capabilities but through competing. 8. Of course, if you really want to be successful in this kind of sport, you should bag your fights. Don’t expect losing most of your match, and getting at the top. It just doesn’t work that way. 9. Again, mixed martial arts is fast-paced, contact sports that contain blood shed. So always be ready for injuries. You might get injured during your training or your actual fight. Regardless, you should always be prepared. 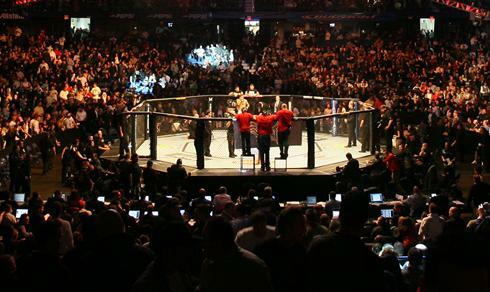 MMA: What the Sport is All About? Mixed Martial Arts Banned in New York!